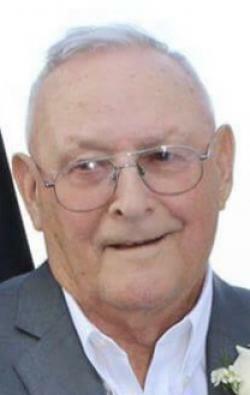 Suddenly at his home on Monday, November 5, 2018, of Paul Joseph Buote of Tignish, age 80 years. Beloved husband to Olive Mary (nee Gallant) Buote. Born at Tignish on December 9, 1937, he was the son of the late Walter and Edna (nee Gallant) Buote. Loving father to Jimmy (Paula), Clarence (Nora), Wanda (Gerard), Wayne (Sue) and Brenda (Ron) Barrett. He will be sadly missed by his ten grandchildren as well as his nine great-grandchildren. Dear brother to Melvin (Bertha), Edith (late Alcide) DesRoches, Barbara Anne (Ollen) Perry, and Kitty (late Robert) Leard. He was predeceased by brothers, David, Ernest and Peter. Resting at the Rooney Funeral Home and Chapel, Alberton. Visiting hours Tuesday 6:00 to 9:00 p.m. and on Wednesday from 12:30 until time of depatrure. Funeral Wednesday afternoon from St. Simon and St. Jude Church, Tignish, for funeral mass at 1:30 p.m., Rev. John Molina, celebrant. Interment in the church cemetery. As an expression of sympathy memorials to the Western Hospital Equipment Fund would be gratefully appreciated.